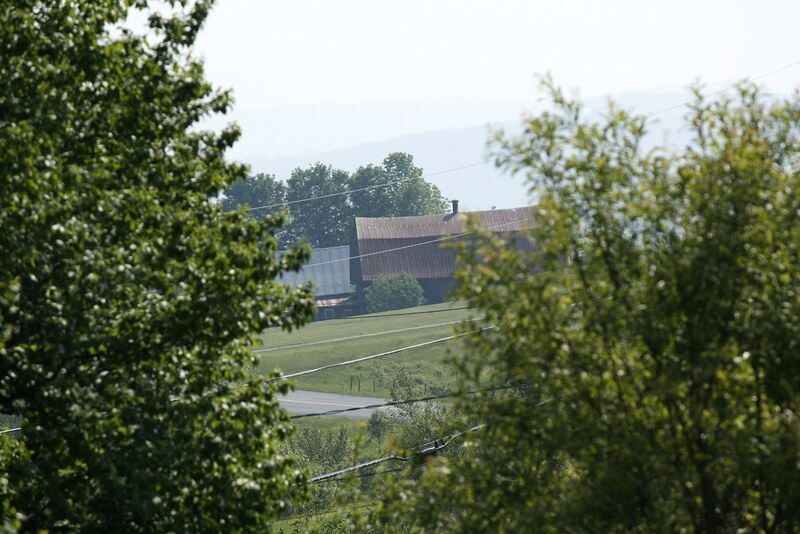 I took this photo of the Duquette Barn, down the road, from the top of the hill behind the house on Memorial Day. You should be able to see the Lowell Range of mountains in the far background, but smoke from the Quebec forest fires has made the view very hazy. You can also see the infernal power lines that ruin so many Vermont photographs. They seem to be in the way much more often here than anywhere else I have photographed. This old barn is slowly collapsing. We hope that it can be restored before it is gone forever.